As fall blends into winter bringing the return of Pumpkin Spice everything, brisk mornings and colorful foliage, we find a time to be thankful and reflective on what the past year has brought us. Over the course of 2018, Hubspot has worked hard to expand their offerings to cater to more and more businesses. In order to meet the needs of many industries, they have increased the integrations that are able to enhance your business’s relationship to the CRM and sales program. There are so many, in fact, that the directory can feel a little overwhelming. Which programs to chose? Which will meet my goals effectively? We have taken the time to digest the offerings and the following are the Hubspot integrations we feel most thankful for this season. 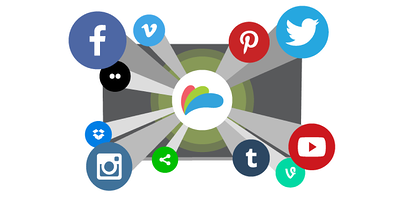 These are the integrations that REALLY make your life easier and your content more amazing. Creating animated videos can be harder than it looks. But they are hard to ignore since they get such great engagement and have lower production cost than most commercial-quality videos. Animated videos are also a great resource for companies that are fluid and change often, since they can have a faster creation time. 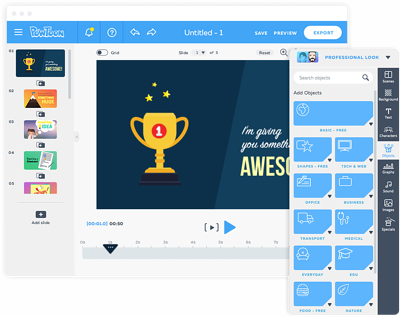 Using a simple, DIY video making platform, Powtoon enables you to create authentic engagement using animation, live video, moving graphics, music, and voiceover capabilities. These videos can reach throughout your blogs, email sequences, and other communication to provide engaging content to your audience. Shakr makes video creation easy and unique by providing over 2000 templates to begin with. Add your photos and video clips, customize your text, and tada! No more importing and exporting video content over and over. 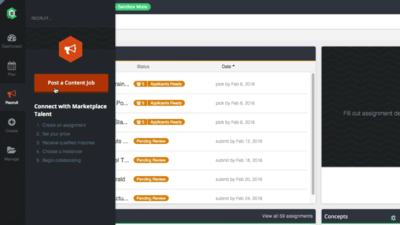 House your videos in Hubspot’s file manager with a click of a button. If email templates seem to bog your process down, or you feel like you’ve been using the same three templates over and over again, BEE Pro is for you. It helps streamline the email creation process and makes sure that your emails are always perfect. An easy drag-and-drop editor makes the creating part easy. Custom template management, message review, comments & approval, and brand settings are the features that make this email creator one of the best on the market. Keep your entire marketing team on the same page with BEE Pro. If you’re a marketer, you have probably written a blog or two. You may have even spun up that same content into different formats: e-books, infographics, one-pagers, and more. While this is all well and good, what if you had the power to take that original blog post and IMMEDIATELY have an e-book or other downloadable tool ready to go at your fingertips? Beacon gives you that perfect superpower. 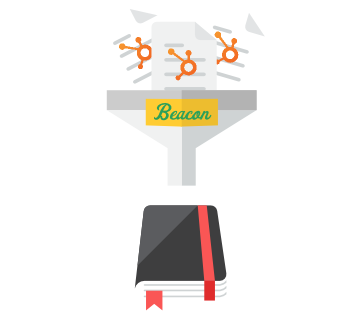 Beacon pulls your blog content into its UI and walks you through a series of steps to approve design and content for the desired tool. Once you approve, it provides the content within your Hubspot Content Manager for use in the future. Genius. ClearVoice is a great multi-use option for generating content of all kinds. Think you don’t have the time for that? You don’t have to! ClearVoice has a network of vetted freelancers who are ready to make your message come alive. All you have to do is determine a budget, describe your brand voice and guidelines, and they will match you with the perfect person to make all that delicious content you are craving. Even better is that ClearVoice can connect into Hubspot’s marketing platform, meaning that all content can be viewed, edited, and commented on from within Hubspot. Simplifying your process is the name of the game when it comes to adding integrations, and ClearVoice achieves simplicity well. These apps are the ones worth spending some time on to see which your business could use to boost productivity and leads in your pipeline. The robust feature offerings of each are sure to provide you with some new abilities, while sharpening some existing ones. Need help implementing these apps into your daily routine? Inbound Design Studio can recommend and assist your team in succeeding through growth.